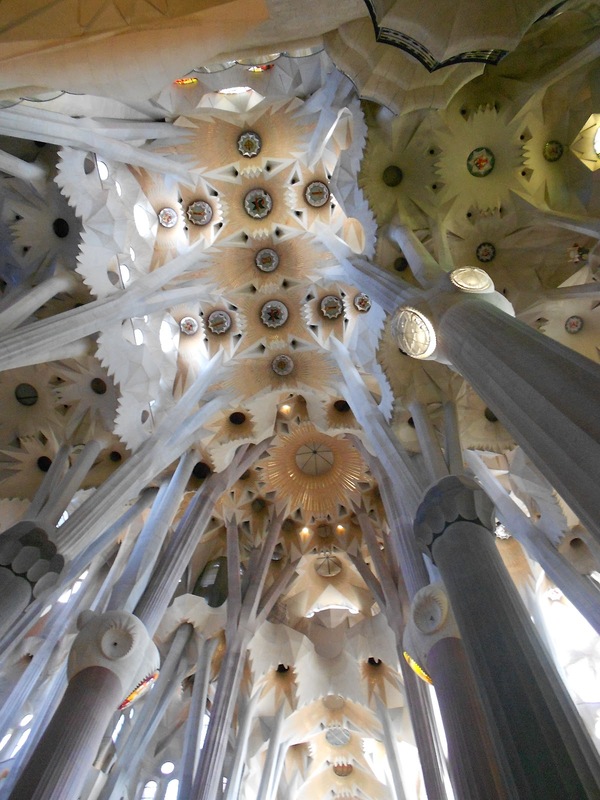 This is post number two about my recent sojourn to Barcelona with fellow emergency handbag-ger, A. And I made a promise. 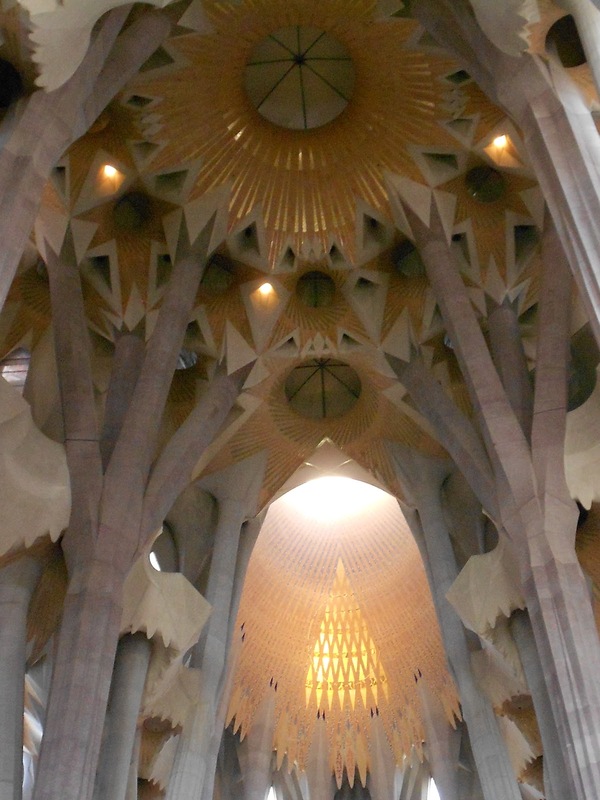 The promise was to inspire you with a post about Antoni Gaudi’s La Sagrada Familia, Barcelona’s premier tourist destination and testament to the vision of one of the city’s greatest sons. But now it seems like a really big promise and it’s ended up presenting something of a dilemma for me. Here’s why. Before I went, I wasn’t really sure I would like it. The whole thing looked crude and indulgent in most of the pictures I’d seen and having visited a cathedral or several in my time, I doubted that anything could really blow me away on the church front. But like all great tourist attractions, you can’t visit a city without at least paying homage to what it deems to be the absolute best of itself. After lining up for half an hour on Saturday morning, we finally entered at around 10am. 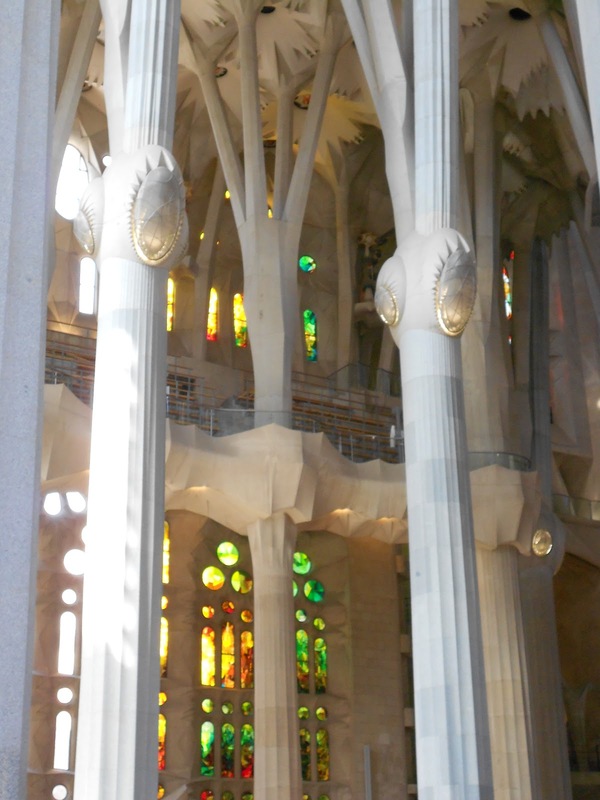 And I was blown away…but largely by what I didn’t expect to see. So I’m wondering whether my sharing here may actually spoil it for any of you inspired to visit for the first time. But a promise is a promise and in the interests of keeping my word, I will do my best to walk the fine line between providing you with a little inspiration and giving the complete game away. I will leave it for you to decide whether you want to stop here/look away now. 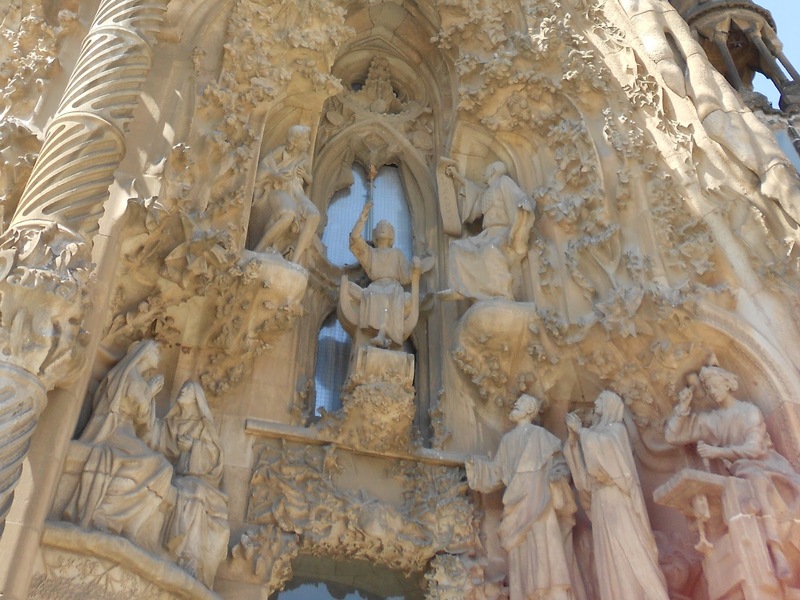 The main entrance is via the Passion facade, which is on the opposite side of the cathedral from the Metro station and which is considerably less photographed than its famous counterpart, the Nativity facade. Make sure you get the audioguide before you start – I know they can be a bit naff but the extra few euros is really worth spending here. And finally, all of the advice says to get here early to beat the queues – also I expect to avoid standing in the fierce heat. We had a 30 minute wait – be patient, good things are to come, as the saying goes. 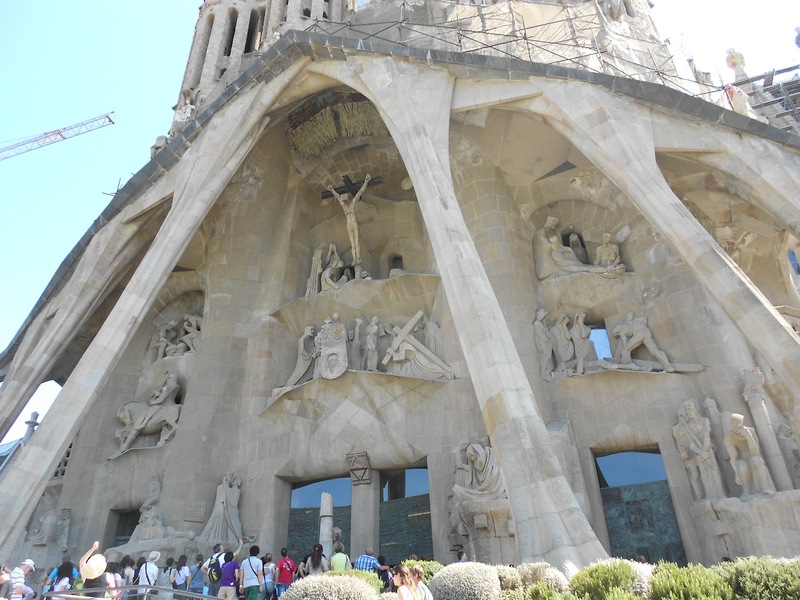 The ‘tour’ starts with the Passion facade, which traces the story of Christ’s judgement, crucifixion and resurrection, before inviting you to move under the wide arches of the portico and enter the cool sanctuary of the church itself. 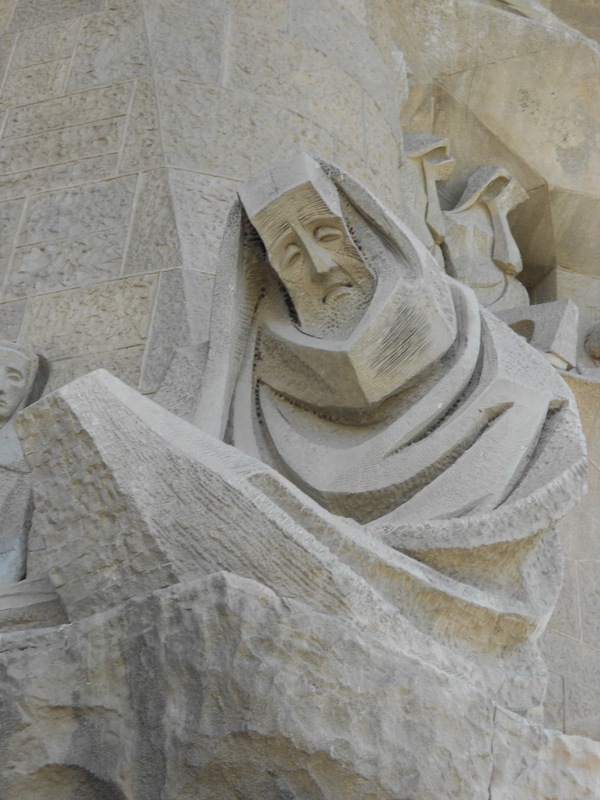 The story of Christ’s crucifixion plays out across the Passion facade. And this is where I gasped out loud – it literally took my breath away. 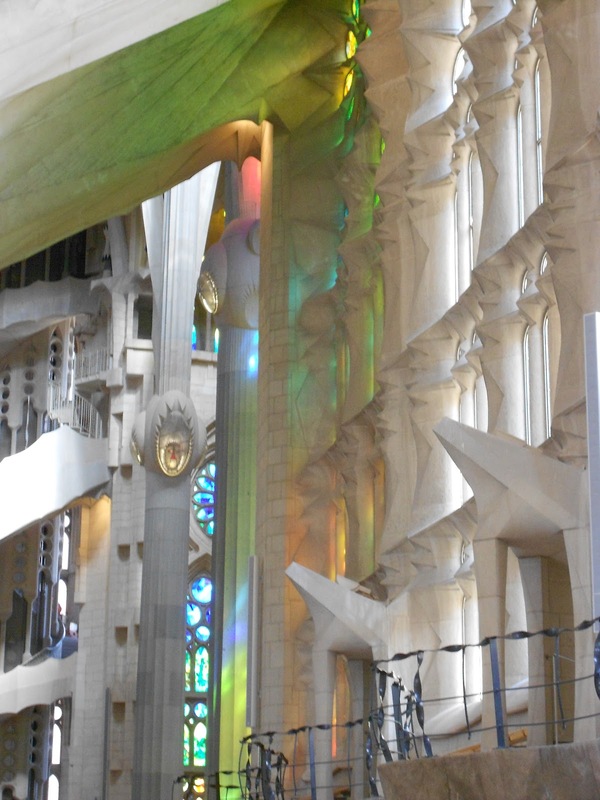 Natural light streaming through the stained glass creates its own pallette. …lit only with glorious sunlight. 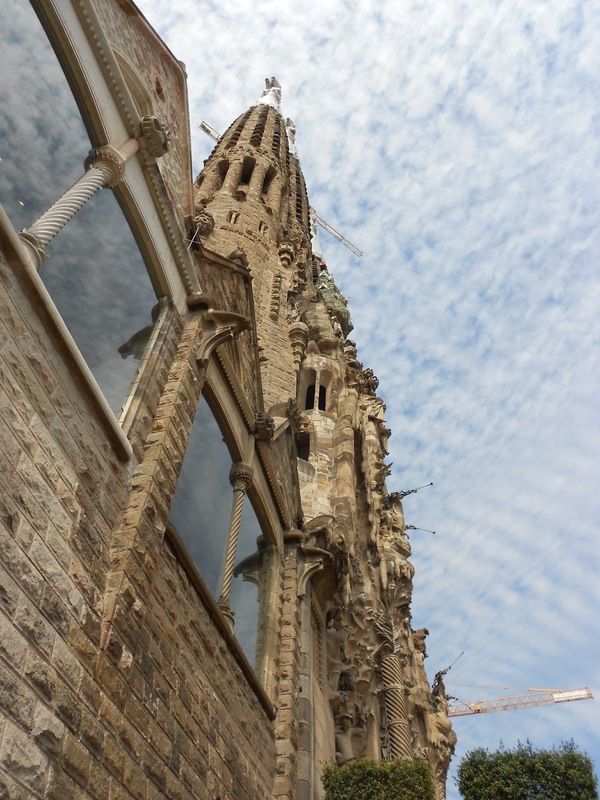 There’s a brief opportunity to visit the under-construction Glory facade, which is at the long end of the nave-cross, before moving outside again to see the famous Nativity facade, celebrating the birth of Jesus. The expressive style of the ‘birth’ facade contrasts with the modern starkness of its opposite number at the entrance. …of the birth of Jesus. ﻿The audiotour finishes by suggesting a visit to the museum and workshops underneath the church. 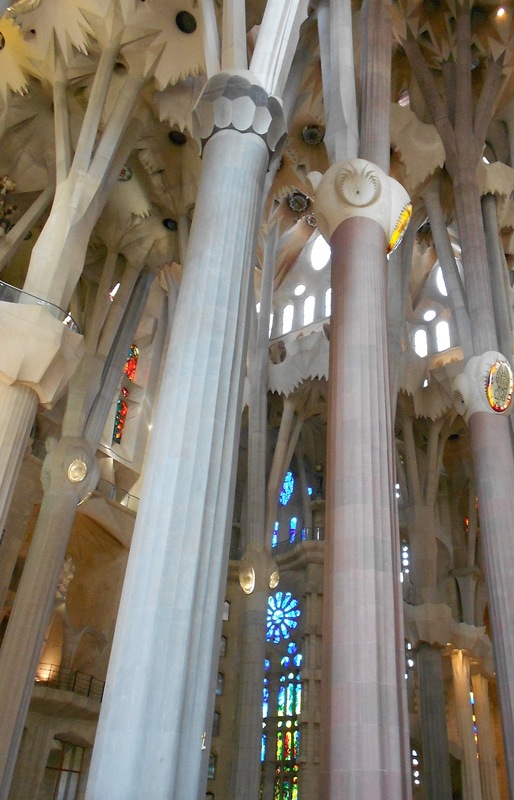 The workshops are…well, working and aside from the history of La Sagrada Familia, you can see the actual models which are created to explore both the aesthetic and practical components of building each intricate piece of this fantastic sanctuary. Last glimpse of the towering Nativity facade before entering the museum. We left after a little over two hours, me with a ‘considerable number’ of photos and a flat camera battery. Both awed by the morning we’d spent. 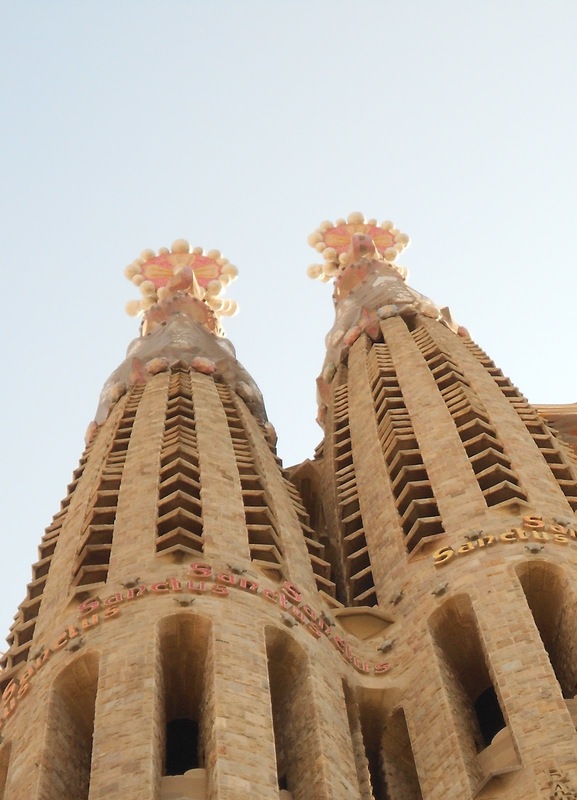 We had an amazing weekend in Barcelona with great food, brilliant weather and some excellent sightseeing and shopping. 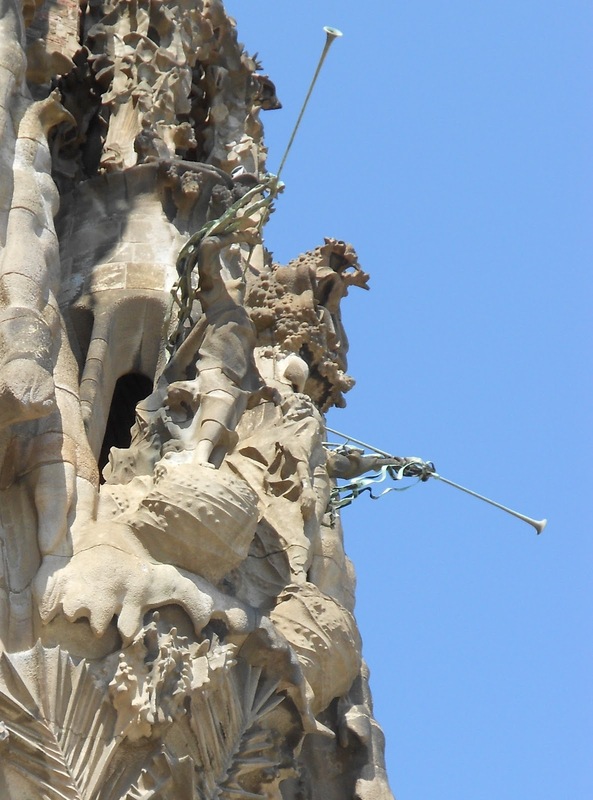 There are many other things to do which we didn’t have time for but for me, La Sagrada Familia was the piece d’resistance. The luscious cherry atop our Catalonian sundae. Hope I’ve managed to whet your appetite. 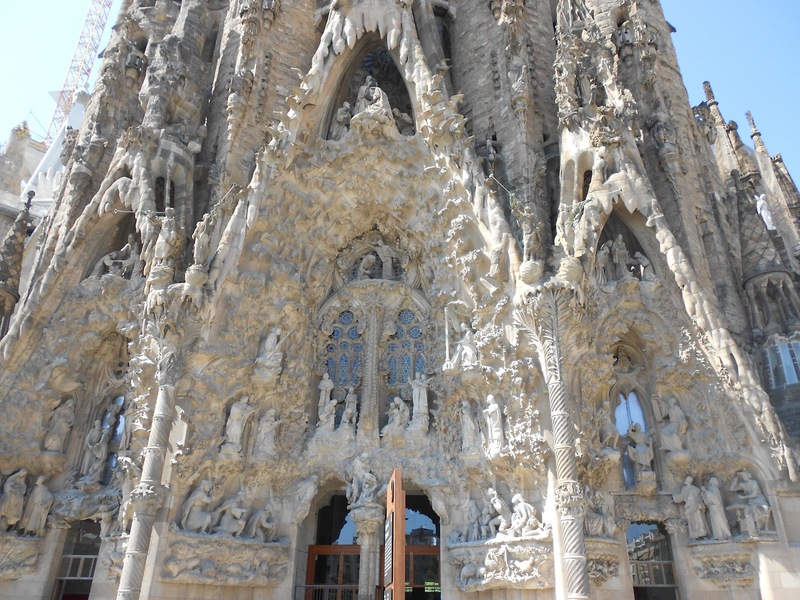 This entry was posted in A Traveller's Life, Armchair Tours, Expat moments, Inspired by and tagged Antoni Gaudi, Barcelona, emergency handbag, La Sagrada Familia by Kym Hamer. Bookmark the permalink. Thanks Jane – I'm glad you enjoyed it! Absolutely fantastic! I can't wait to go to Barcelona. Hopefully, sooner than later. Thanks for sharing these gorgeous pictures! !